[an error occurred while processing this directive] The TV MegaSite's Longmire Season 3 DVD Giveaway! WELCOME to The TVMEGASITE.NET Longmire Season 3 DVD Giveaway Page! Congratulations to our winners: Tom Warnock; Kate Tarasenko and Barbara Garibaldi! Yay! Wyoming Sheriff Walt Longmire is back for the third season of hit Big Sky crime drama LONGMIRE. In this gripping two-disc, 10-episode set, characters must test their courage and face challenges that will ultimately define them. The action-packed third season of this contemporary Western captivated fans across the country, averaging 5.6 million viewers per episode! 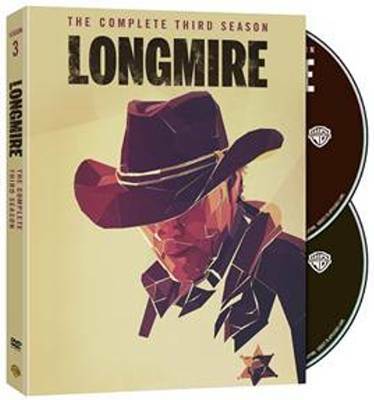 * Warner Bros. Home Entertainment will release Longmire: The Complete Third Season on March 3, 2015 for $39.98. More info at our Forum! Contest ends February 28, 2015 midnight eastern time!